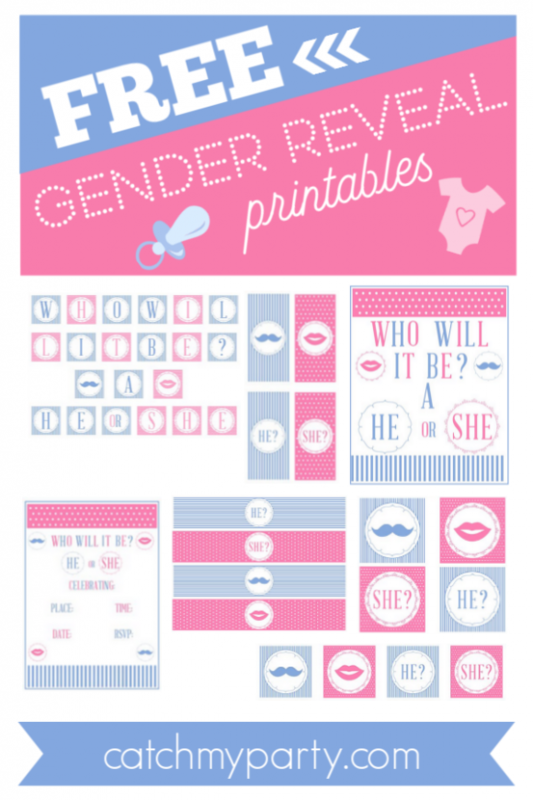 Download these cute FREE Gender Reveal Printables! 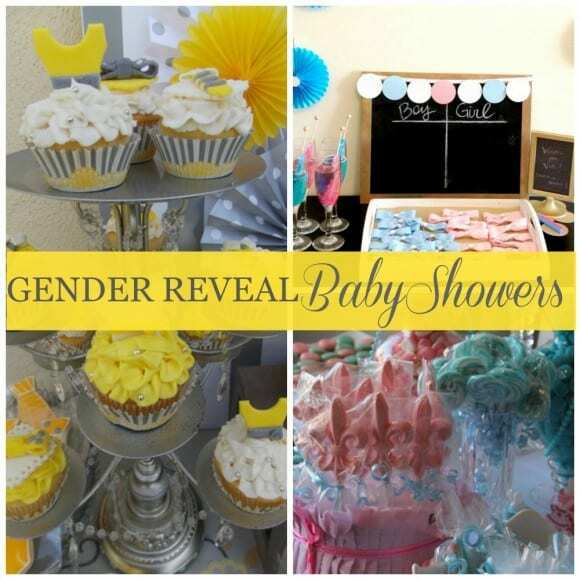 Gender reveal baby showers are increasingly popular and a fun way to let your family and friends in your big secret! For those of you who don't know, a gender reveal baby shower is when the mommy and daddy-to-be reveal the gender of their baby at the party. I really think the added element of surprise brings a lot of fun to these showers, especially when the guests get in on the guessing. In no time, you can easily download the set of gender reveal printables, print them on your home computer and cut them out accordingly. The Most Adorable 15 Gender Reveal Baby Shower Invitations! Baby showers are always a joyful celebration, but a gender reveal baby shower is such a fun experience and a fantastic way to let your guests in on your little secret! So, if you're planning one in the near future, and want to to surprise your guests with a gender reveal, then you won't want to miss these 15 adorable gender reveal baby shower invitations! 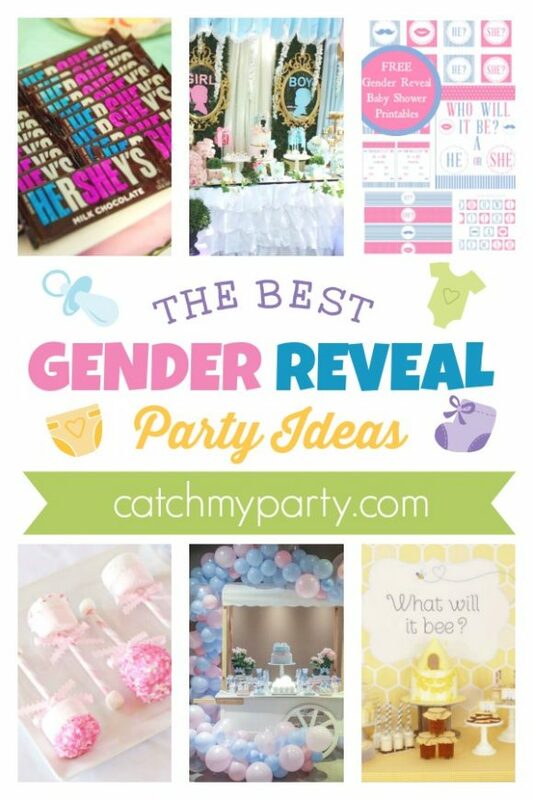 Have Fun with the Best Gender Reveal Party Games out There! Baby showers are a wonderful way for the mom-to-be to celebrate the joy of her new baby. And who doesn't love a gender reveal baby shower party. The moment of the big reveal is such a thrilling one filled with so much excitement and happiness. 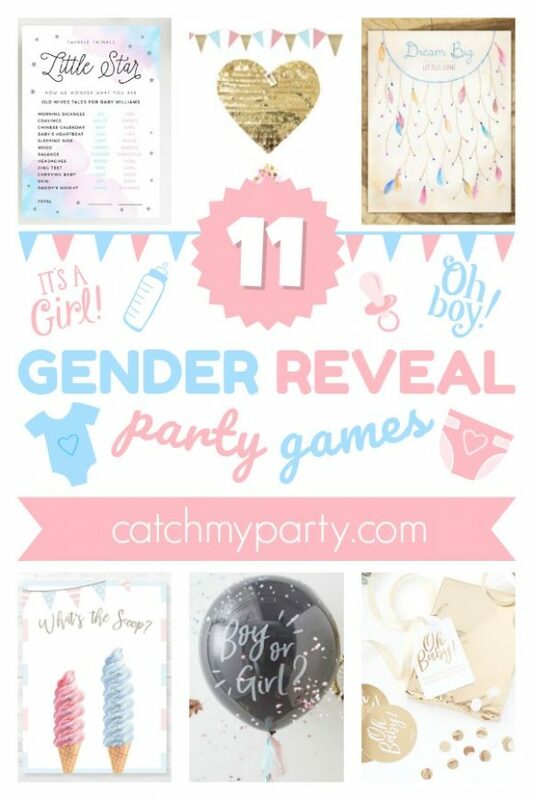 With that in mind, we have been searching for the best gender reveal party games to help make your big reveal a fun and memorable experience for everyone!Don't miss the excellent gender reveal party game ideas we've found. You'll find great ideas, such as fun ways to reveal the gender, a gender reveal thumbprint guestbook, some gender reveal scratch off cards, and so much more! Take a look for yourself! Feast Your Eyes On The 12 Best Gender Reveal Party Supplies! 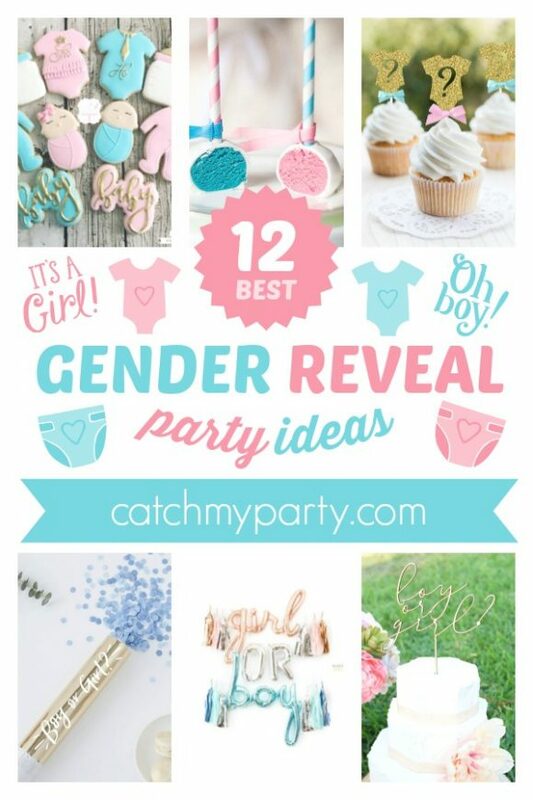 If you've got a baby on the way, and are looking for a creative way to announce the gender of your baby to all your friends and family, then you have to have a Gender Reveal Party! It's a great excuse to celebrate your little bundle of joy with everyone and mark this milestone in a memorable way. So, to help you plan your party, we've rounded up the 12 best gender reveal party supplies we could find. We've found so many amazing ideas to make your gender reveal unforgettable!We've found the best gender reveal party supply ideas for things such as invitations, cake toppers, party favors, cookies, decorations, and so much more! Here Are the Best Baby Gender Reveal Ideas! Gender Reveal baby showers are such a great way to let your friends in on the gender of your baby in a fun and exciting way! 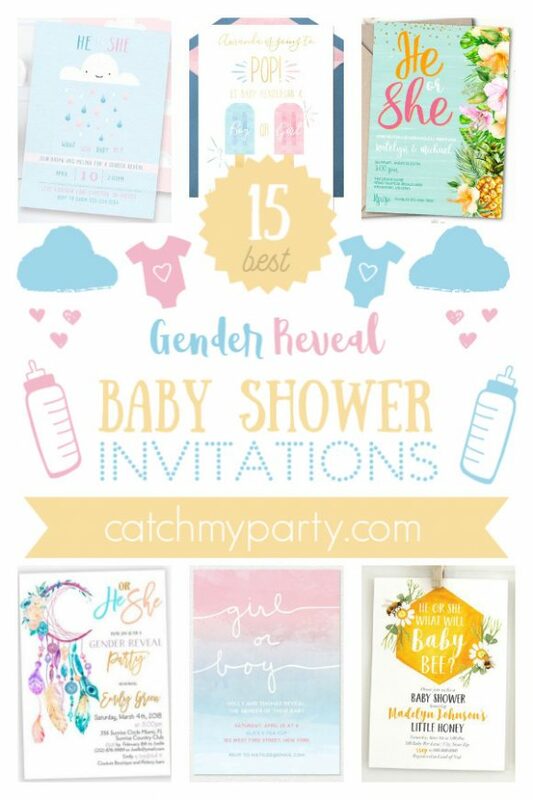 In fact, it's one of the most popular baby shower themes on catchmyparty.com. So, if your planning on throwing your very own party, you won't want to miss the best baby gender reveal ideas we've found for you! Paris Bridal Shower and more! Check out my four favorite parties added to our site this week, including a Paris bridal shower held in a beautiful garden, a gorgeous vintage Winnie the Pooh gender reveal baby shower, an elegant champagne birthday brunch and a cute second birthday party with a puppy and kitty theme. 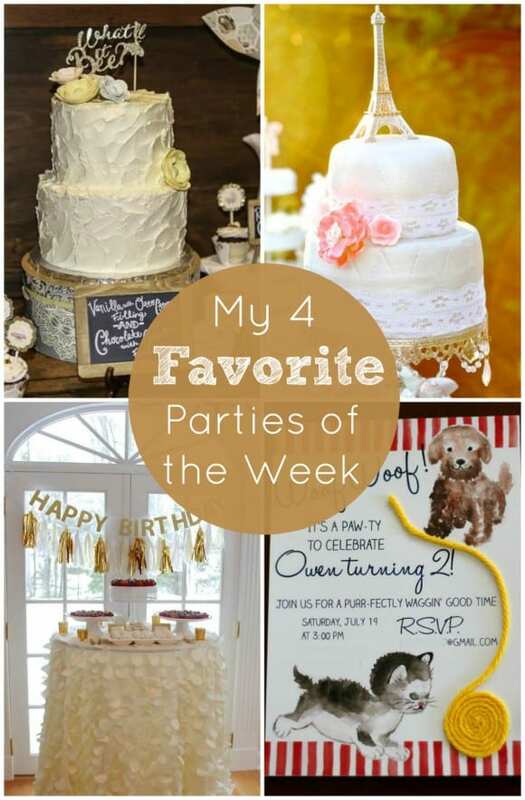 I chose 3 elegant parties, because I was kind of in an elegant mood this week (in my sweatpants), and one adorable 2nd birthday with cute dogs and cats to add a little whimsy. Take a look and see what you think. Gender Reveal parties are a popular (and very fun!) baby shower theme right now. 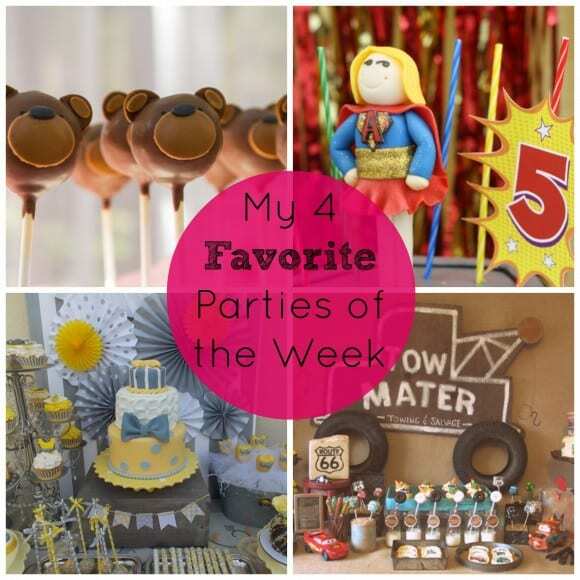 I promise you will be blown away by each of these four parties added to our site this week! The originality... wow! There's a superhero birthday for a girl, a Radiator Springs birthday, a cute teddy bear picnic, and a gender reveal in the coolest of colors. 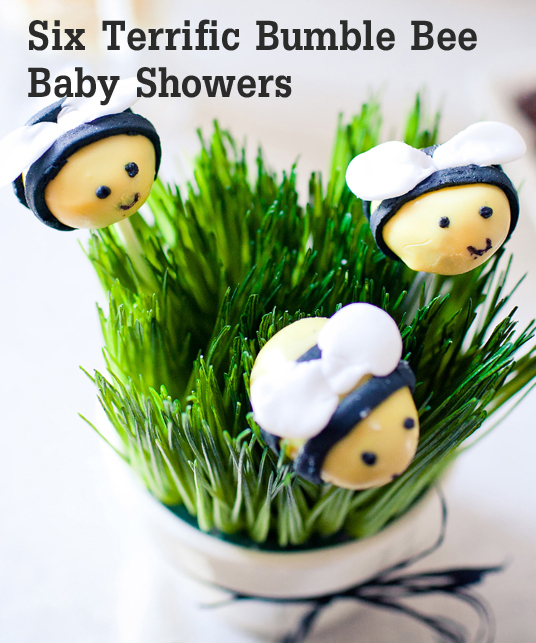 We've been seeing an explosion of bumble bee baby showers on our site! There's something so sweet and cute about bumble bee parties, and I love all the plays on the word "bee"!